We are Minnesota estate planning attorneys who put a premium on client service that encapsulates the big picture. Located at Grand and Snelling avenues in St. Paul, at Tarrant & Liska, P.L.L.C., we work to improve our clients' financial and legal lives with personalized care and custom-tailored solutions beyond estate plans. Our attorneys are litigators with decades of experience in these legal fields, and we can provide cost-effective guidance and representation in a range of matters. We are problem solvers striving to bring peace of mind and confidence to our clients. Our law firm uses strategies to empower our clients and help them make informed decisions about their financial and legal futures. 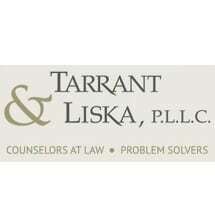 At Tarrant & Liska, P.L.L.C., we are your legal advocates, guides and representatives. We will fight to protect your rights and work for practical and favorable resolutions tirelessly. Our law firm is committed to your success. When looking for an attorney you need assurance that the attorney you chose will solve your problems and protect your interests. We are here to help guide you, advise you of your options and make what can be an overwhelming experience manageable. As small business owners and women who work outside the home, attorneys Karen Tarrant and Melanie Liska are especially sensitive to small business and family issues. If you have not put together a plan for the distribution of your property on death, or have concerns about your minor children, you want an experienced lawyer to guide you through the process. If you are considering entering into a residential or commercial lease or contemplating buying or selling residential or commercial property, you want an experienced lawyer to guide you through the process. When starting a business it is normally advisable to form a legal entity in order to protect your personal assets and limit your liability. We are very experienced in this area and can provide you with guidance on how to proceed.